I LOVE yomogi flavored mochi! 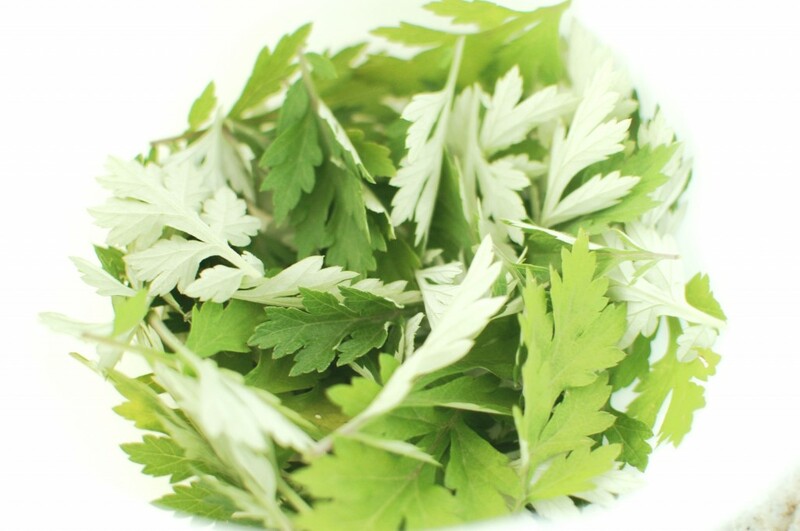 ”Yomogi” is a Japanese herb, called “Japanese Mugwort” in English, a.k.a. 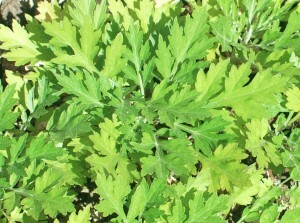 “Artemesia princeps” in the plant world. This is a very vigorous plant that grows like a weed all over Japan. It is a member of the Asteroideae – the same subfamily that contains tarragon, sagebrush (NOT sage… which is from the mint family), and wormwood (flavoring for Absinthe). It has a unique and amazing flavor that I adore! While yomogi is EVERYWHERE in Japan… I had a really hard time finding it here in the USA – even here in California where there is a large Japanese population. To my dismay, I could not find fresh yomogi leaves anywhere (not even at Mitsuwa Market)! 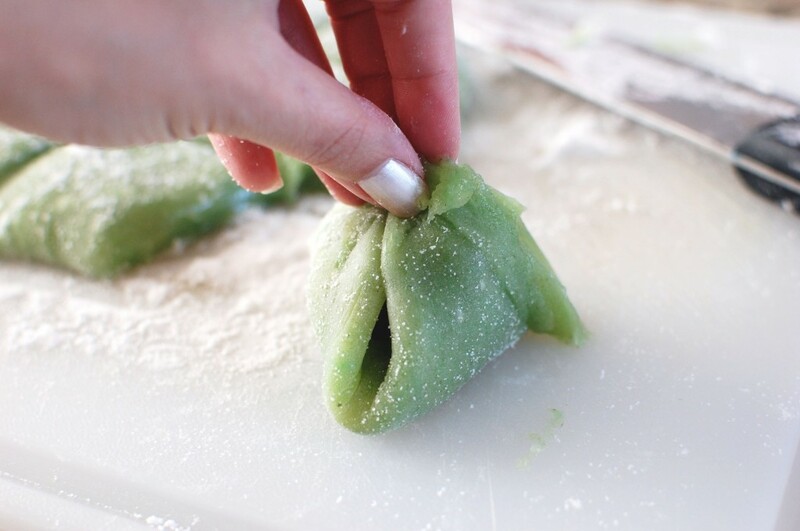 I’ve been dying to make this mochi for months now… but you can’t make yomogi mochi without yomogi! In the end, I decided to buy yomogi seeds online, and grow my own plant (which is why this “spring” confection is being featured on my blog during summer – it took awhile for my plants to grow to the point where I could harvest enough leaves). If you are impatient, you can try buying Yomogi Powder online instead – just mix the powder into the 1 1/2 c. water called for in the mochi recipe. But fresh leaves are best if you can get them. 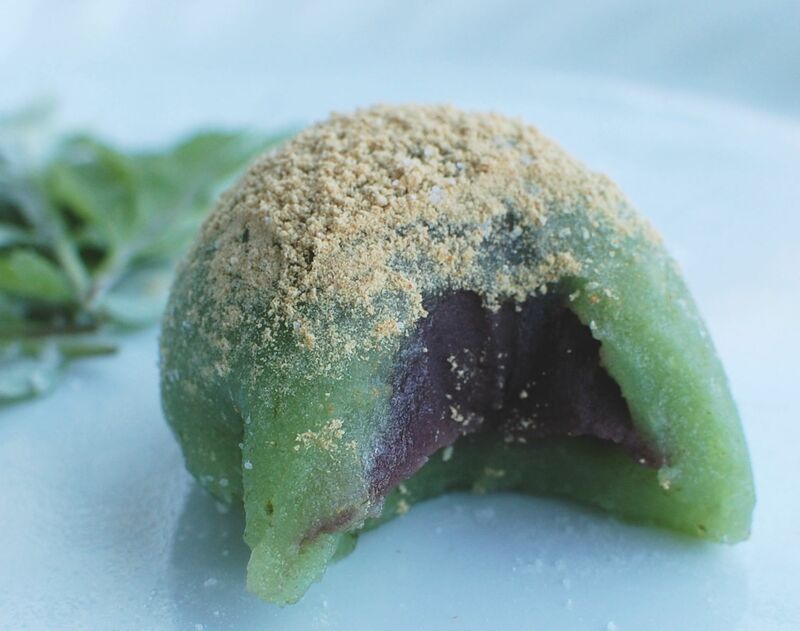 There are two types of mochi you can make with yomogi (both are considered seasonal spring favorites in Japan – right around the time where yomogi begins to sprout up all over the place). 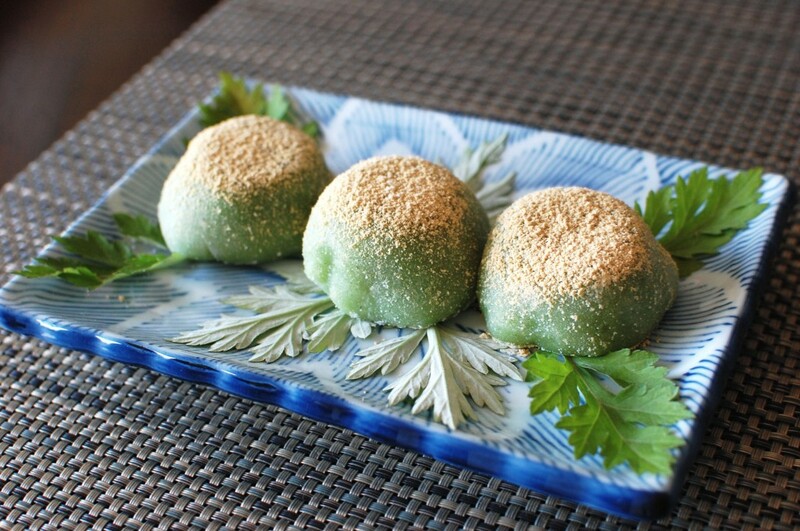 The most popular is Yomogi Daifuku: green mugwort-flavored mochi with sweet red bean paste filling, topped with a sprinkle of kinako (yellow soy bean flour). My husband loves red bean filling, so I decided to make this type for him. But for me, I prefer the flavor of the mugwort to stand out – without any red bean distracting me. 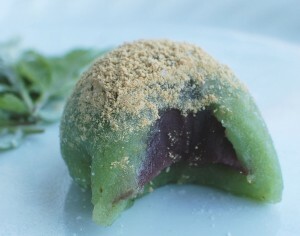 So I also made Kusa Mochi: plain green mugwort-flavored mochi, topped with kinako (no fillings). 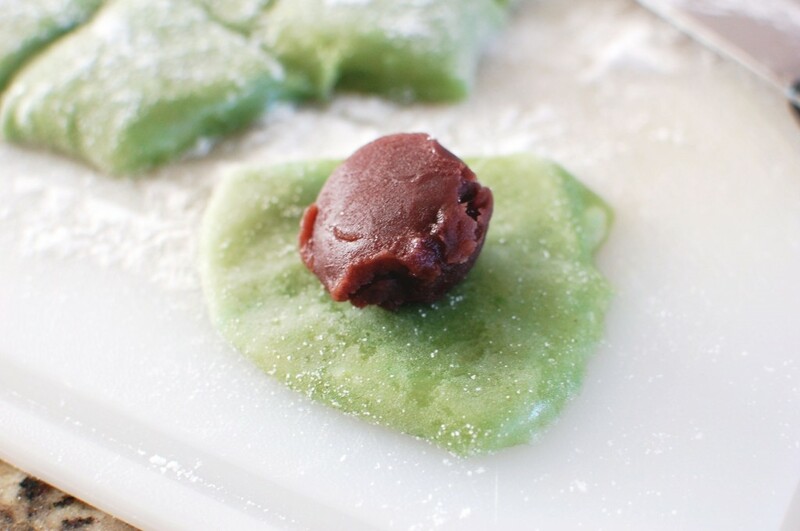 In this post, I will show you how to make both Yomogi Daifuku and Kusa Mochi. 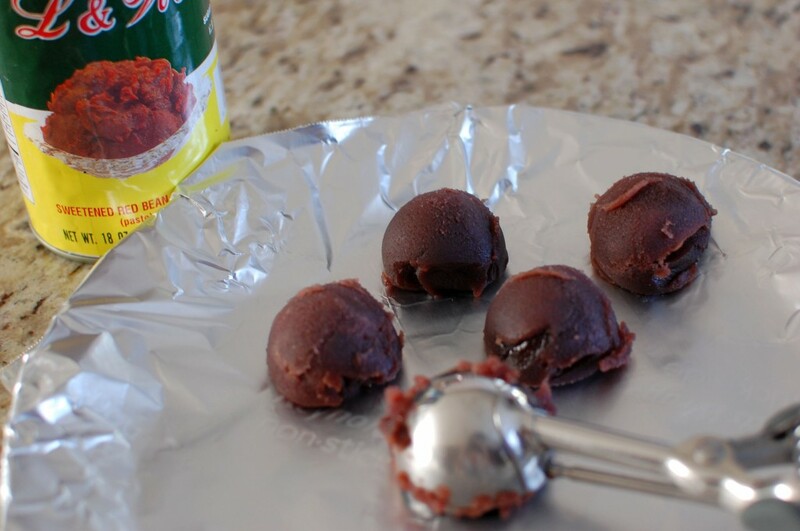 The only extra ingredient that you need for the daifuku is half a can of sweet red bean paste. *If you are looking for other types of mochi, try my Apple Pie Mochi, Pumpkin Pie Mochi, or regular Daifuku Mochi recipes. 1. Wash the fresh yomogi leaves. (If you are picking your yomogi fresh, choose the inner leaves that are darker green – not the outer/older leaves that are more yellow). 2. Bring the 2 c. water to a boil in a small saucepan. Add the yomogi leaves, and simmer 1-2 minutes until wilted and soft. Allow to cool. 3. Meanwhile, scoop the red bean paste (using a cookie scoop) into 12 balls. Set aside. 6. 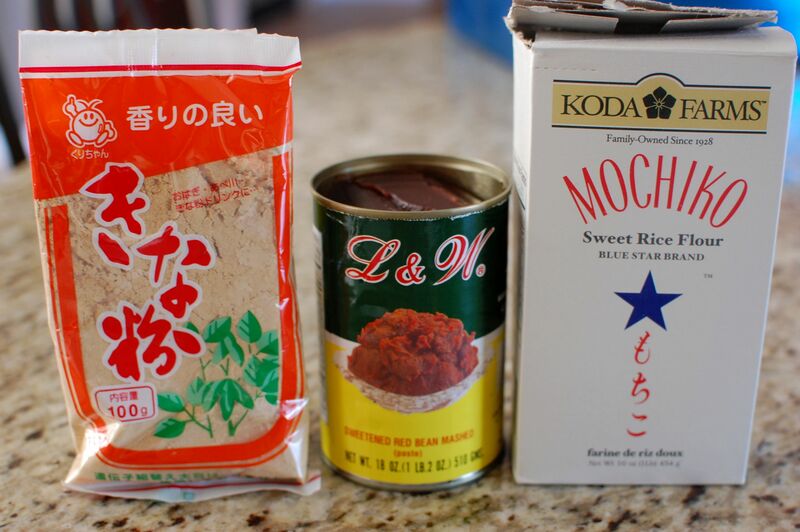 Add the mochiko, sugar, salt, and vinegar into a large microwaveable bowl. 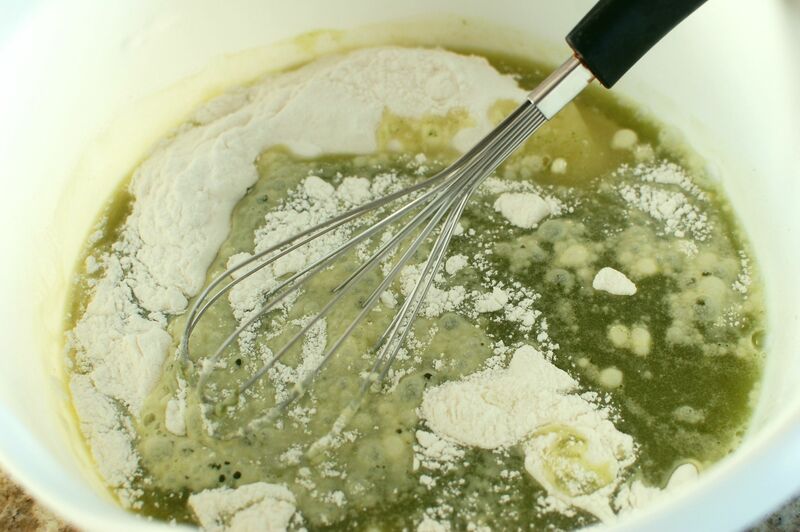 Add the 1.5 c. of green yomogi water, and stir with a whisk until uniformly combined (no lumps). Add 1 drop of green food coloring, if desired. 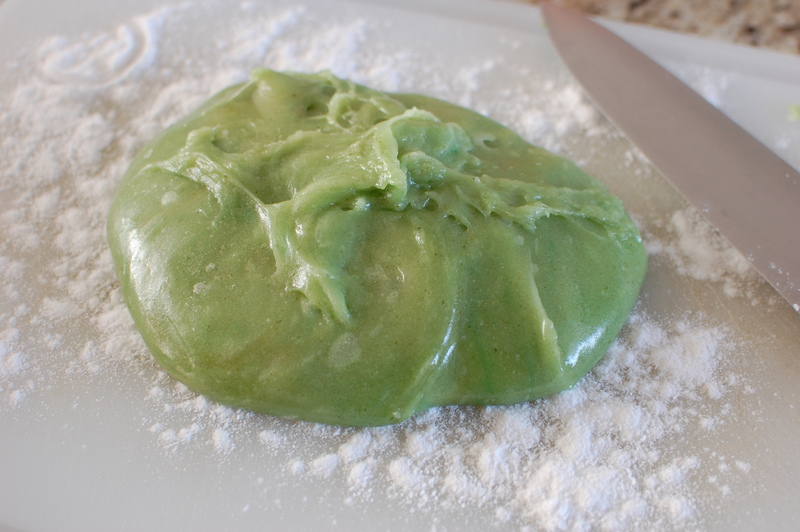 (The color of the batter will be green without the food coloring, but once cooked, it will turn more greenish brown… if you want your mochi to look more appetizing, add one drop of green food coloring.) 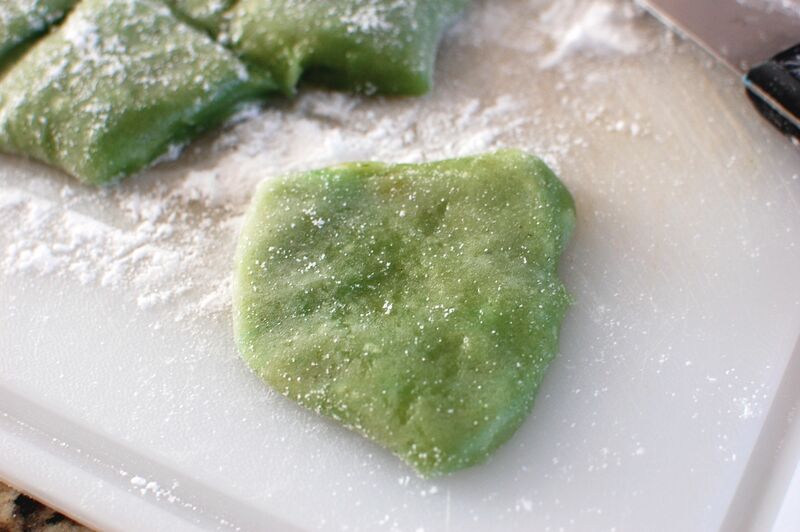 Stir in the drained yomogi pulp if you want to have little bits of the leaves in your mochi (optional). 7. Microwave the mochi for 8-10 minutes on high. 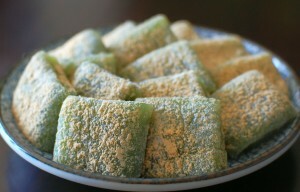 Your mochi is done when it is molten and doesn’t have a grainy taste. (Be careful – it really is like lava… it will hurt if you get it on your skin because it is VERY hot at this point.) Dust a little bit of the mochi dusting powder on the surface of a large cutting board. Dump your hot mochi on top, and sprinkle with some more dusting powder. 9. 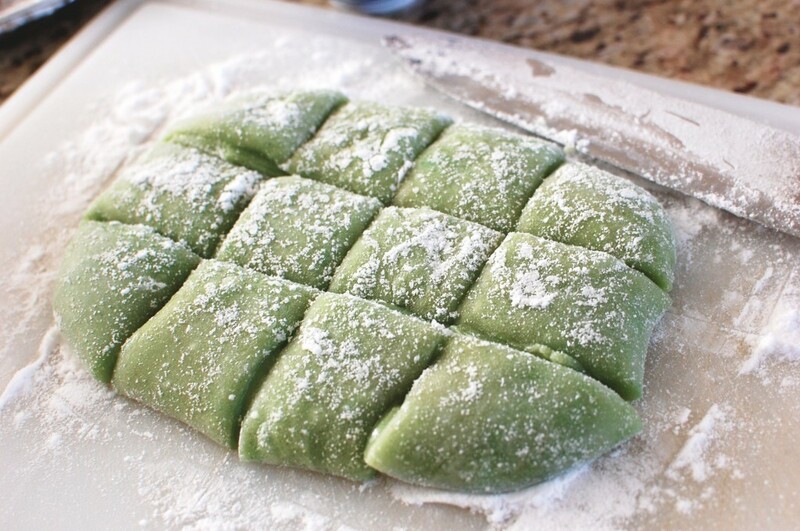 To make Yomogi Daifuku, cut the rectangle into 12 pieces. 11. Put one ball of red bean into the center. 12. Pinch the edges of the mochi upward to seal. 14. 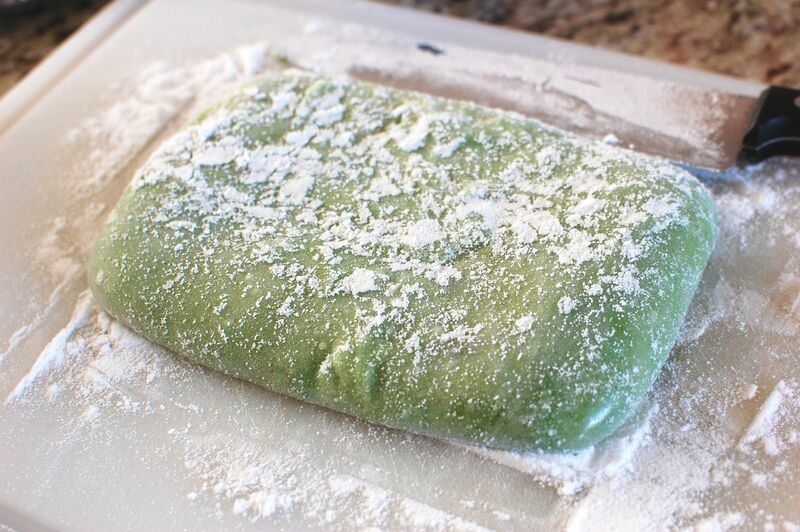 When your mochi are done, dust them with the kinako (soy bean flour). 15. 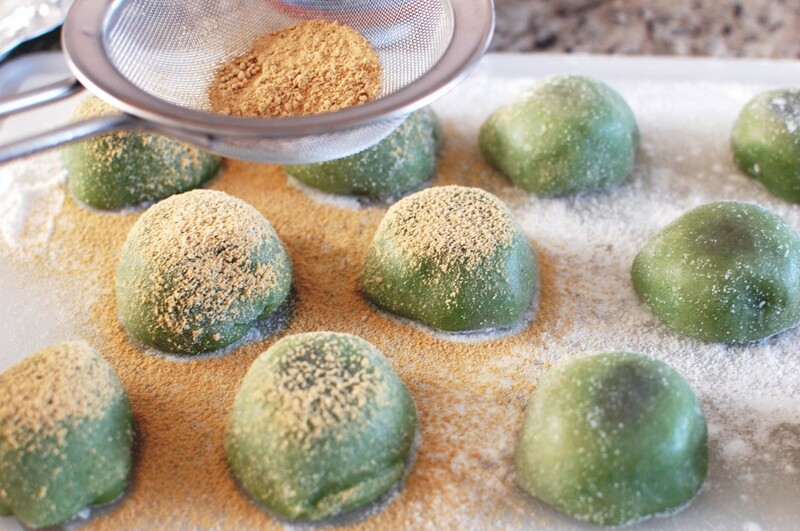 Store your mochi covered with plastic wrap, and eat within 2-3 days. If you store in the refrigerator, it will get hard – but you can soften slightly by microwaving at 15 second intervals until soft again. Do you think the Japanese supermarket would have the Yomogi powder in stock? I’m not sure… When I was looking for yomogi, I was mainly looking for fresh leaves… it didn’t occur to me to look for the powdered version until I was unable to find fresh leaves anywhere. I think you might be able to find the powdered version at the store – but if all else fails, I know you can buy the powder on Amazon. How long does it take to grow the plant until you can harvest the leaves. Uhm , your mochi look yummy. And the mochi dough actually cooked in 8-10 minutes? It takes too long to grow the plants!! I planted the seeds in late January… and was just able to harvest the leaves now in June… so about 5 months (depending on your weather). And yes, the mochi dough cooks pretty fast in the microwave… about 9 minutes in my microwave – but could be shorter or longer depending on how much power your particular microwave has. If I use the mugwort powder, how much of the powder do you think I should add into the1.5 cup of water. ( I never taste mugwort product before ). BTW, just in case your readers interest, Korean supermarkets do sell mugwort powder. I got 1 lb bag for 7.99. in their flour section. ( So I assume the Japanese supermarket will stock it too in the same section) Just don’t know if it has the same taste or quality as the Japanese one. Will try your mochi recipe. Just hope I like the taste and not get stuck with a whole lb of mugwort powder. I’m not really sure… I’ve never used the powder before. 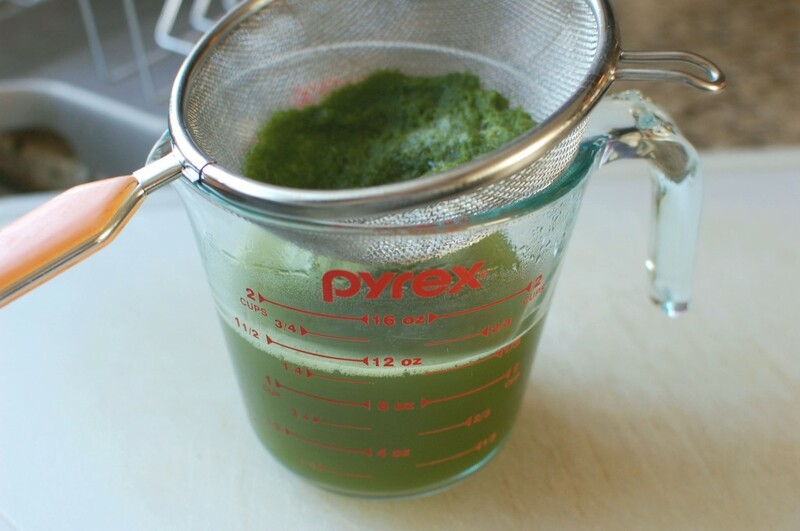 Maybe start off with a tablespoon mixed into the 1.5 c. water (I would use warm water to make it dissolve better) – then taste it and see how strong the flavor is. Probably somewhere between 1 – 2T. sounds right. 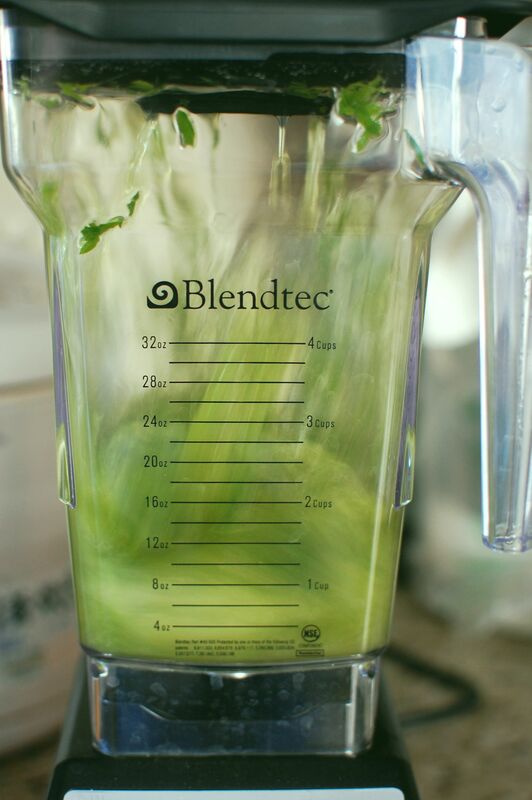 Remember that dried, powdered herbs are always stronger than their fresh counterpart, so you use much less! It is the first time i want to make some yomogi mochi, but since i don’t have a microwave, can i use my stove instead? and if I use my stove, how much time should be spent for cooking to remove the grain taste? and do i need to add extra bit of water to avoid it from being scorched? I wouldn’t use the stove… the heat will be too concentrated on the stove top and the bottom will probably burn. If you don’t have a microwave, try baking the mochi batter in a 9″X13″ pan in the oven for 45-60 minutes, at 350 degrees F.
Lovely step by step article! I was Just given a clump of Yomogi by a friend who sells herbs at a couple f farmers markets. A Japanese customer at her other market brought it to her, and she knows I like artemisias! 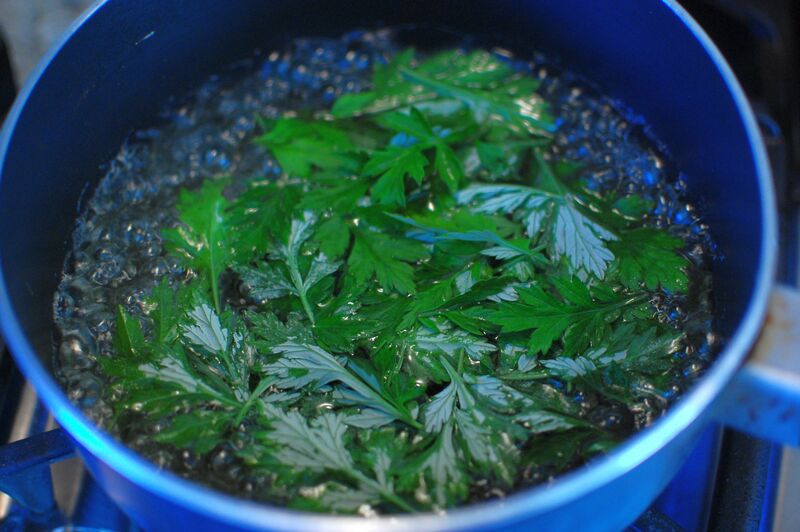 I have Western mugwort, and have been adding a leaf or two to rice when cooking it. Years ago my Japanese friend Glenn told me mochi w/soy sauce & sugar was a favorite treat, I’ll have to ask if he ever had Kusa mochi! Hi there! Yes… it seems that the only place you can get yomogi is from Japanese people who happen to have it growing in their backyard. I guess I’m now one of those people…. lol! Enjoy your yomogi – I hope you like the flavor as much as I do! 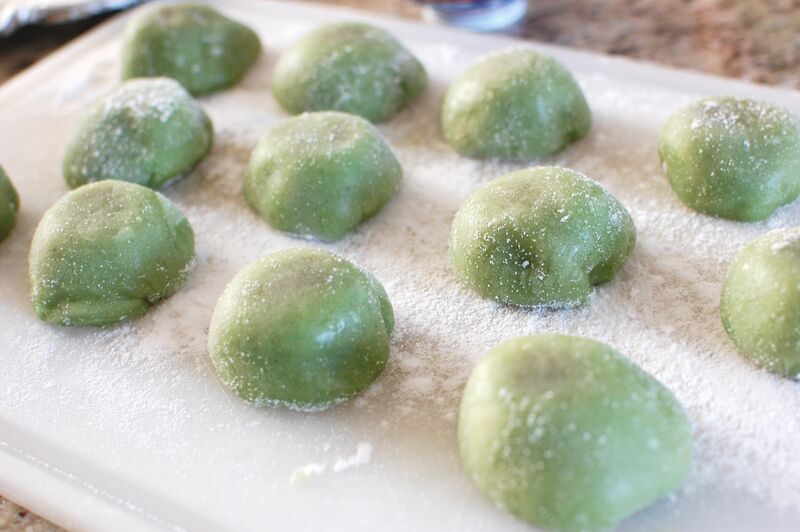 Have you ever tried to make mochi ice cream? Not yet, but it’s on my to-do list! I tried this yesterday. The texture of the dough is really good..chewy. However, since I have to use the powder instead of the real leave extract, the flavor doesn’t come out at all and the color is not as nice as your . ( I use 2 tablespoons and a bit of food color). Oh well, I guess nothing compare to the real thing. What is your taste like? Hi Amy! Well, it’s that time of year again, and my yomogi plants are growing… so funny you should ask… I was just thinking of making some Kusa mochi. With real yomogi, the mochi tastes… really good. It’s hard to explain the flavor… it’s sort of licorice-like… but milder, and it has this… kind of tarragon flavor to it – but not quite. If you really want to know, it’s not too late to buy yomogi seeds and plant them… probably will take a few months to grow. Before I finished reading your entire post, I too went to Mitsuwa in San Jose to find mugwort and was saddened to find none! 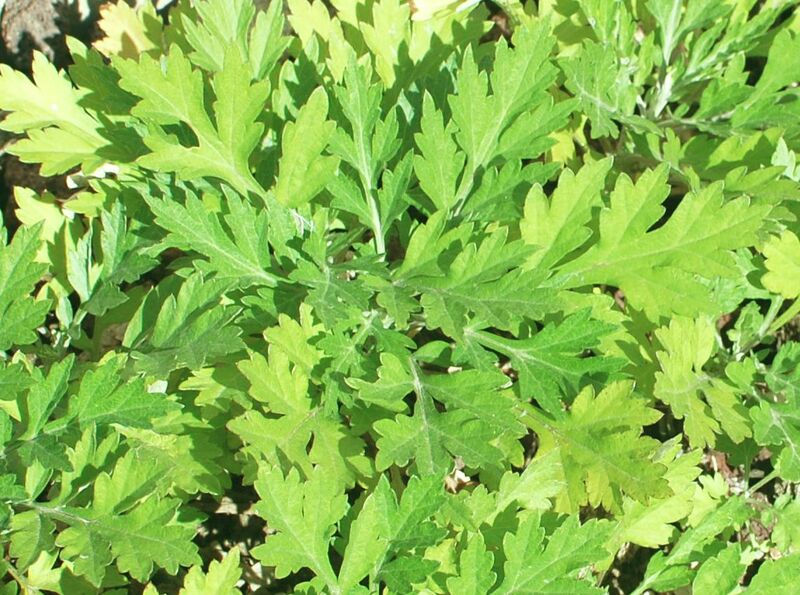 I always end up accidentally killing most plants, so I’m on the lookout to try to find a Japanese supermarket in the Bay Area with fresh or dried mugwort, so do let me know if you’ve come across any, thanks! I have been waiting for spring since I got to Japan for yomogi. I want to harvest it and make tea (I can only find it online and pricey). I have been reading different accounts on when it is a good time to pick it, and I am a bit confused. According to some, the end of March, but I have not seen it around. SO I was wondering if you could help me out or point to a good resource online on how to identify it. I live by the Seto Nai Kai. Of course by now, I will try your recipe. It is my favorite kind of daifuku. I even had yomogi konyaku – delicious! I love this weed. Hi there! I’m not sure at what specific time Yomogi will sprout and grow in your area. Right now, my Yomogi plant is green and lush – as it has been all winter long (San Diego). It’s been a weird winter that hasn’t been very cold – so even my tomatoes from last year are still producing fruit. Since our weather patterns here have been so odd, it’s likely that weather patterns everywhere have changed a bit this year… so I don’t know??? I wish I could tell you – sorry!